No stranger to a cancelled gig or two, Morrissey has called off his next three U.S. tour dates due to an unspecified “band member illness.” According to Slicing Up Eyeballs, the affected dates include tonight’s concert in Flint, Michigan, tomorrow’s in Minneapolis, and the January 26th date in Chicago. Those keeping score will of course note that these shows were postponed once before after the crooner returned to the UK to be with his ailing mother. Barring any subsequent changes, Morrissey will return to the road January 28th in Asheville, NC and be on tour through early March. You can consult the updated docket below. For a Morrissey performance that can never be nixed, check out his recent visit to Letterman at the bottom of the page. 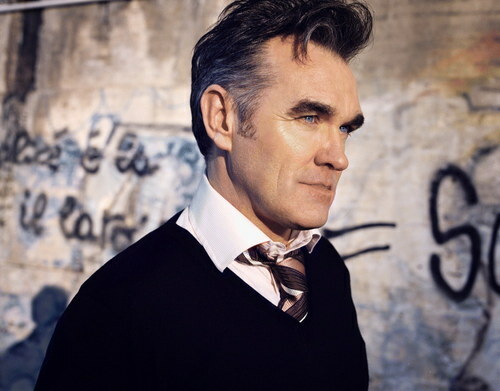 And to the fans in Flint, Minneapolis, and Chicago: take solace in the fact that you’ll eventually see Moz. Unlike Coachella.